I love Halloween every year it comes around. The leaves have changed color and there are so many fun festive decorations at everyone’s homes. There are so many Halloween decorating ideasout there it’s ridiculous. 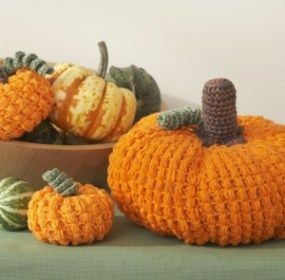 So, of course, we’ve decided to add to this craziness by giving you a collection of …….Pumpkin Patterns: Free Crochet Patterns to Make for Halloween. Crocheting your own Halloween crafts is such an easy way to go and it’ll save you money in the long run. Buying all your decor can get very expensive so you might as well find a way to be budget-friendly while showing off your crochet skills. Halloween pumpkin patterns are so cute, too; they can all have their own unique look. 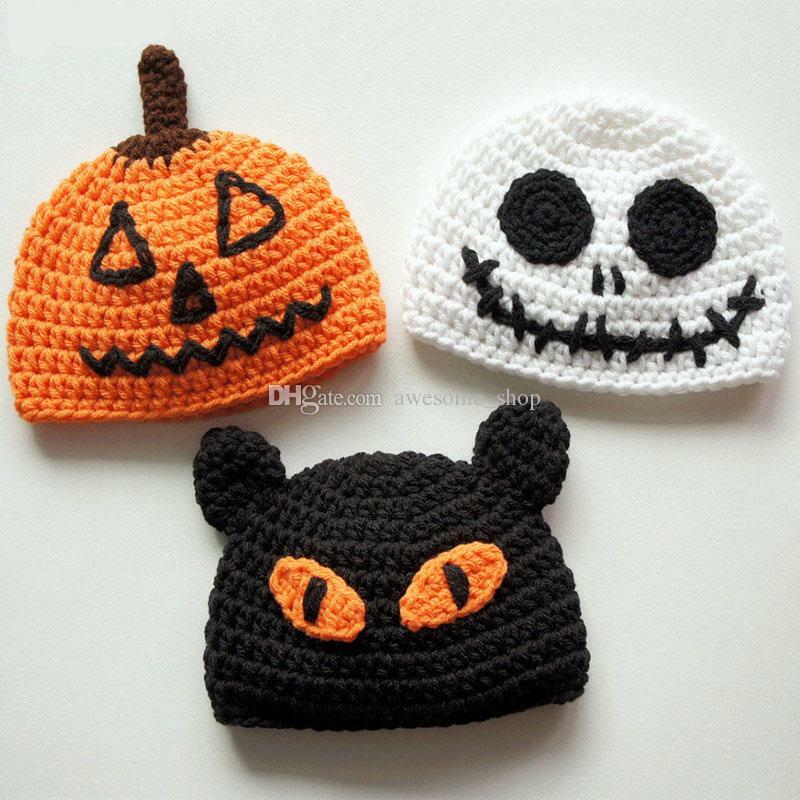 Crochet something for that newborn baby this Halloween. They can’t fit into many costumes yet, but you can certainly make an adorable Crochet Beanie Baby Pumpkin for them. 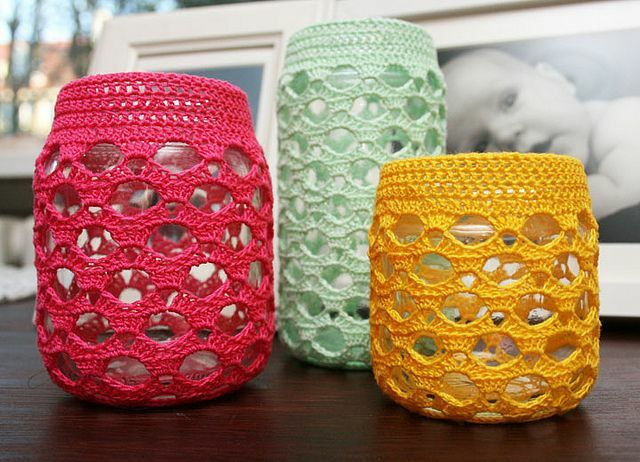 Halloween isn’t for everyone, but these Halloween Crochet Jar Covers sure are. Whether you’re the kind of person who puts off carving a pumpkin until the last minute or you can’t wait to turn your home into your very own haunted house, these cute mason jar decorations are the perfect understated DIY Halloween decor. The size is perfect for a centerpiece, or as a decor accent to be used at home. But still big enough if you would like to use it to decorate something outside, like your patio or porch. They’re also the perfect size to be put in a corner of the stairs, without taking too much space that could become a tripping hazard. 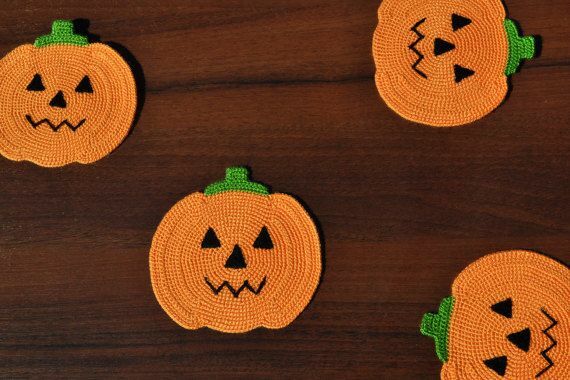 Throw a party complete with crochet pumpkin coasters for everyone to use. You don’t even have to use regular orange yarn- make them whatever color you want to add a little unexpected variety for your guests. Make them a little spookier to set the mood by using black and purple, or try a riper pumpkin with red and yellow. If bright orange isn’t really your thing, try something different with this Autumn Vine Crochet Pumpkin. 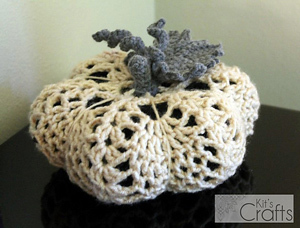 This unique crochet pattern is definitely not your typical pumpkin. 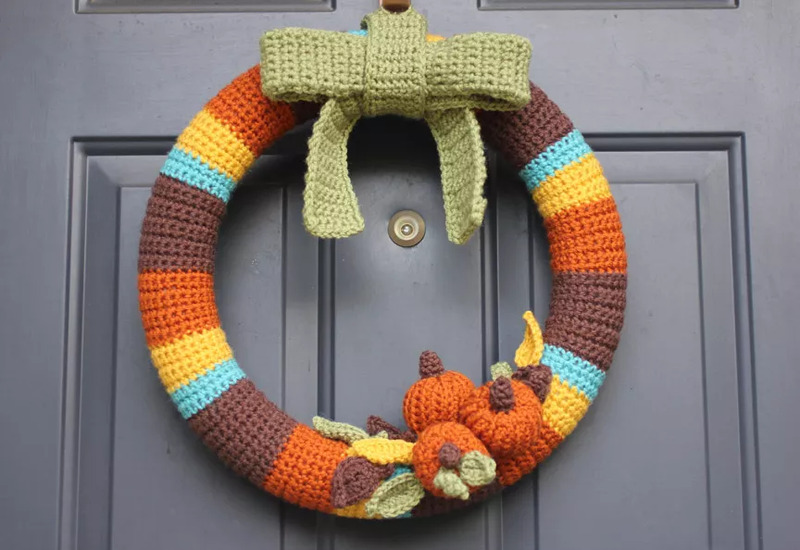 It includes vines all around the pumpkin crochet pattern as well as a more subdued color that might look a little better sitting on your mantle. ……by Lion Brand Yarn: A super cute gift for baby’s first Fall!